Taken from the FAde003 inside tray. "Raindrops keep falling on my head, they keep falling on my head"...For over 24 hours it had been pouring, but nobody was snoring. Let me tell you that this was no bowl, but rather a gently sloping hill now representing a quagmire, upon which stood some 60,000 eagerly awaiting and impatient fans, crammed together like sardines in the most inhumane of settings. Those that suffered through one of the worst days in British weather for an outdoor rock concert didn't allow their spirits to be dampened though. We were there to see Peter reunited with Genesis! We wondered how the current Genesis line-up might compromise the possibilities that a reunion could bring. Perhaps Peter might appear out of place or more of a sidekick. Wondering, we grew impatient as the show became increasingly delayed due to the weather. The crowd took out their frustrations on the more annoying support acts that jarred against this progressive reconnaissance by throwing beer bottle, but on the whole they were remarkably well behaved under the circumstances. We waited for what seemed like an eternity. Finally the lights dimmed and a steady drumbeat filled the void. And then...what an entrance! 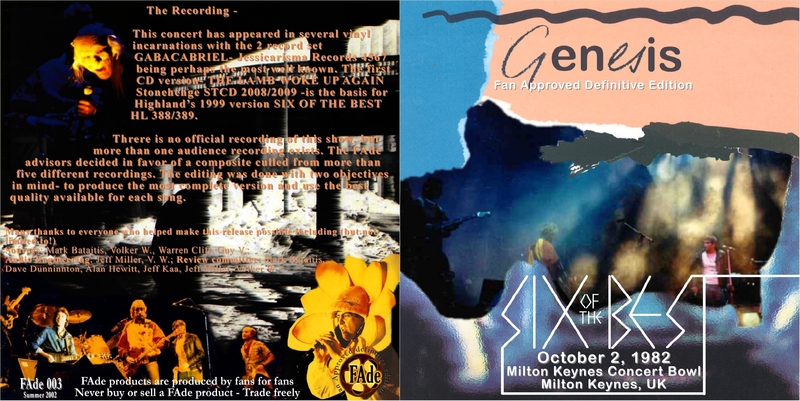 Out flew the Angel from a coffin, launching into a set list of classic Genesis that we dared not dream they would play. The place went nuts. Rain, sardines, cold and grey...who cared anymore? 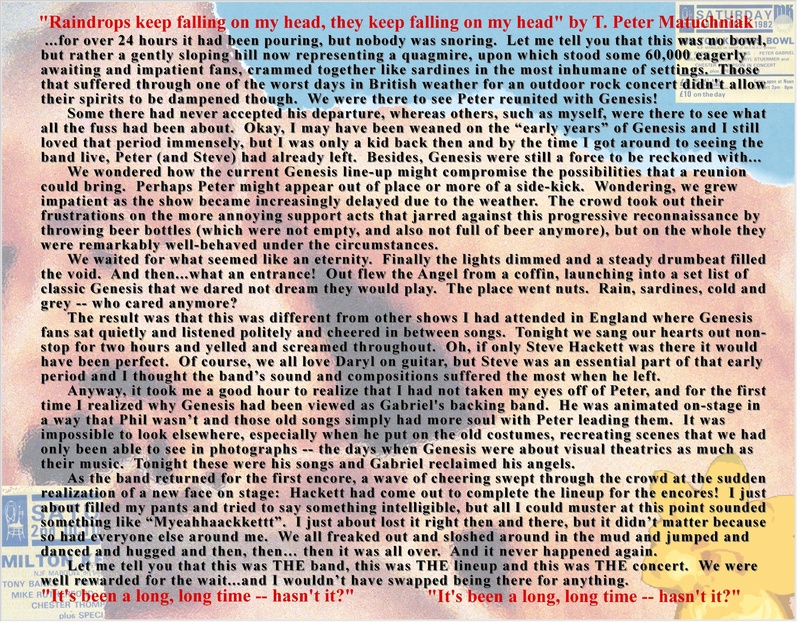 The result was that this was different from other shows I had attended in England where Genesis fans sat quietly, listened politely and cheered in-between songs. Tonight we sang our hearts out non-stop for two hours, and yelled and screamed throughout. Oh, if only Steve Hackett was there it would have been perfect. Of course, we all love Daryl on guitar, but Steve was an essential part of that early period and I thought the band's sound and compositions suffered the most when he left. Anyway, it took me a good hour to realize that I had not taken my eyes off of Peter, and for the first time I realized why Genesis had been viewed as Gabriel's backing band. He was animated on stage in a way that Phil wasn't and those old songs simply had more soul with Peter leading them. 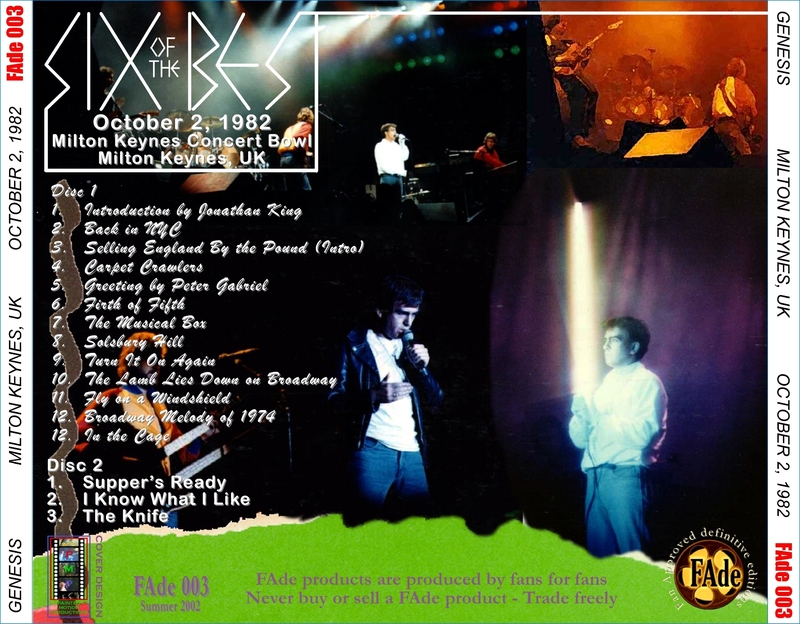 It was impossible to look elsewhere, especially when he put on the old costumes, recreating scenes that we had only been able to see in photographs -- the days when Genesis were about visual theatrics as much as their music. Tonight these were his songs and Gabriel reclaimed his angels. As the band returned for the first encore, a wave of cheering swept though the crowd at the sudden realisation of a new face on stage: Hackett had come out to complete the lineup for the encores! I just about filled my pants and tried to say something intelligible, but all I could muster at this point sounded something like "Myeahhaackkett". I just about lost it right then and there, but it didn't matter because so had everyone else around me. We all freaked out and sloshed around in the mud and jumped and danced and hugged and then, then....then it was all over. And it never happened again. Let me tell you that this was THE band, this was THE lineup and this was THE concert. We were well rewarded for the wait, and I wouldn't have swapped it for anything. "It's been a long, long time -- hasn't it?"